In a last year’s poll, Dublin earned the title of third most welcoming city in Europe, with a whopping 89% of people saying that foreigners are good for the city. This position is definitely also felt in how many different options there are for newcomers to fit in, learn about Irish culture, and get some hands on conversation practice in English. 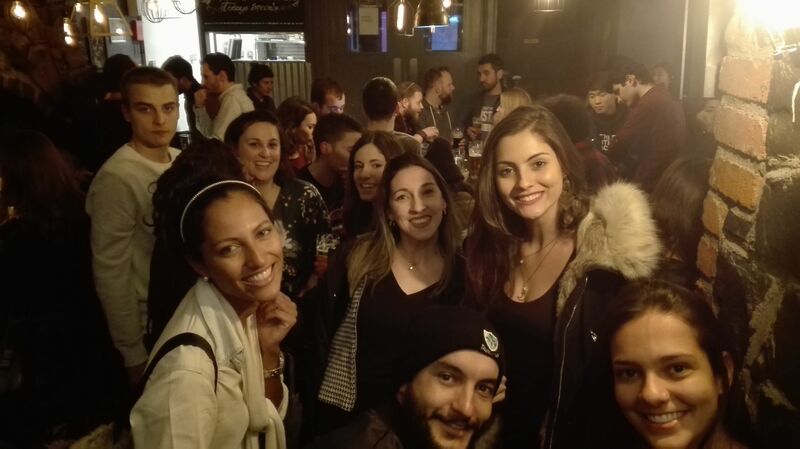 Although there are several Meetup groups based in Dublin that organise various language exchange and conversation practice events, none is more active and prolific than the Daily English group. The Daily English is a Meetup group in Dublin which has gathered a huge following over the years it’s been active. Since it organised its first meeting in 2012 the group has ballooned to accommodate more than 8,000 people eager to either improve their English or help others do it. Thankfully, they are as active today as they were when first starting out and struggling language learners have the chance to put their English skills to the test at their events twice a week. Take a note, though, that this group focuses only on English, although you might just find someone there to organise a private language exchange with. The group traditionally meets at the Wiley Fox Cafe/Bar. It’s located in the centre of Dublin, on the shores of Liffey. The exact address is 28 Eden Quay and you’ll find several conveniently placed bus stops near the location. This group’s events are both frequent and attended by numerous people. You can head down to the Wiley Fox on every Monday or Thursday for your dosage of English conversation. Chances are that you will be joined by more than 30 other participants at any given event. While this might give you an excellent chance to practice your English skills in an authentic Irish pub setting, it can also be a little overwhelming for beginners. If that is the case, it might be better to check out the Language Exchange Ireland events, that can be a bit more accommodating. To join any of the English conversation events organised by the Daily English, join the group on Meetup, pick an event you would like to take part in, and click RSVP. This helps to let the organisers know how many people to expect. You can find the most up-to-date info on their events from the group’s upcoming events calendar. This is one of the single most active Meetup groups in Dublin and you get the chance to get conversational English practice twice a week. Not to mention, the events are completely free for participants – you are only expected to support the bar by buying a reasonably priced drink. If, however, you are looking for more variety in events than just the bi-weekly conversation evenings, you can also check out the Speak English Dublin group that have a more varied menu but there are less frequent goings-on. Photo credit: The Daily English group photo album.